Pakistan Auto Show is one of the talked about event from the last few years. Team Petrol Solution has been organizing the said event (South Region) since 2013 and since then it has been a success in the event management industry. We took this event to a level that it has now been ranked one of the top most events in Pakistan. It was through our efforts that the said event went international and in the year 2016 a large block of Chinese exhibitors participated in Pakistan Auto Show. A B2B concept was a brainchild of our company in which in the history of the local event management industry we made liaison among different exhibitors and created synergies among them. Moreover, the next Pakistan Auto Show has been planned in the calendar year 2019 and it would be again organized by Team Petrol Solution. We are committed and dedicated to bringing up new ideas for our aforementioned venture in the coming calendar year. The China Pakistan Economic Corridor has become one of the most discussed economic discussion with respect to future growth Pakistan China economic zone. It would be one of the biggest game changers for Pakistan and is set to put Pakistan in the race to become a leading economy of the world. CPEC will bring a positive ripple effect to all of our industries, promoting them in Technology, Process’s, capacity, volume, customer, outreach, skill set etc. Today, in Pakistan, there are substantial opportunities in undervalued assets and companies, an active privatization initiative, large infrastructure-related investment projects, especially under the China-Pakistan Economic Corridor, growth in local consumption and a largely untapped export potential. With a massive diaspora of highly qualified Pakistani executives and a large reserve of domestic talent, capital investing in Pakistan can enter a sustained and rewarding phase. Engineering 360 has been conceptualized by M/s Petrol Solution (“PS”). PS would be acting in the capacity of the event management of the said event. PS has vast experience in the field of event management and other related fields. You can visit PS website regarding the detailed profile of PS (www.petrolsolution.com) In addition to that the concept of Engineering 360 has been visualized to create synergies among different business ventures in order to capitalize on the opportunities with regards to current CPEC scenario. We as a company are foreseeing rapid growth in the region. Due to that we are targeting to make possible business syndications among different venture capitalists. Our USP has always been quality and services. We have also dedicated a place regarding B2B meetings of our participants because we believe that every participant should take home some benefit out of our exhibition. 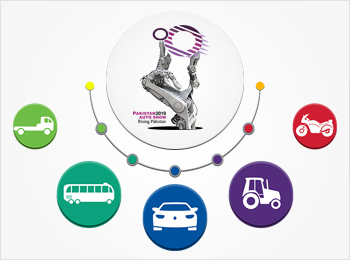 Our clients would be delighted to know that registration to our exhibitions is on complete automation through our Event Management System (“EMS”). At EMS customers would be having a real time view of booking status, stall location, confirmed participants, B2B meetings, company profile, seminars and business conferences etc. It is pertinent to mention here that we also facilitate our participants with our stall designing which is done through our panels of vendors. Moreover, our team of professionals would be on the ground to pro-actively bring out the syndicated deals among the participants. The first of Pakistan Women Festival (“PWF”) happened during the last calendar year. The said event was completely organized by the team of our professional and trained staff. The event was a major hit in the showbiz and relevant industries. Some of the renowned VIPs from the business sectors attended the event to make it even more promising. Petrol Solution was successful enough to make a new brand in the headlines. We are expecting PWF to happen in Lahore in the current year. 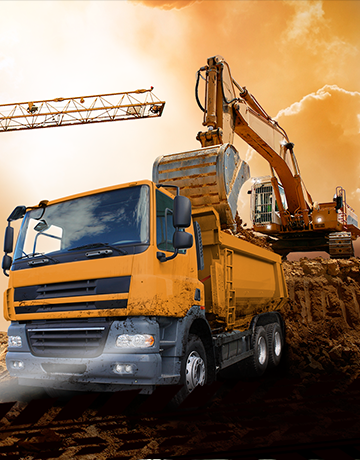 EMAAR has been a popular brand in the construction industry. Petrol Solution were among the exclusive event managers that were hired to organize the EMAAR road show. It is pertinent to mention here that Petrol Solution are exclusive partners of EMAAR Dubai and we mainly offer our service to the same. It is important to note that EMAAR Dubai has been our repetitive customer and we have arranged the said show 6 times. Our team of highly professional people managed the show quite well and providing our clients with quality services and support due to this reason we end up with the highly satisfied customer.